"...Feel free to read the absurdist goings-on as a depiction of patriarchy in decline, but don't expect it to be liberal claptrap. Everyone behaves abominably, and beliefs of all sorts are revealed to be half-formed and willfully insensitive. Humor tips into horror and back again, a seesaw experience fearlessly propelled by director Bart DeLorenzo and his actors." "...Now at the Odyssey Theatre Ensemble, Hir had its world premiere at Playwrights Horizon in 2015, engendering a rave in the The New York Times and going on to play internationally to enthusiastic reviews everywhere. I searched for other reviews because while the stated tone and subject matter of the show are what would normally be right up my alley, my own feelings about the show are decidedly mixed. So, I am puzzled. Is my lukewarm reaction a response to the play itself or to this production?" 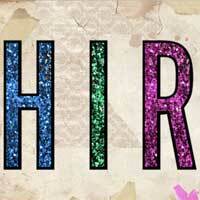 "...Skillfully directed by Bart DeLorenzo, HIR explodes beyond its confines with dark humor and irreverence. The talented ensemble cast keep the story popping in unexpected and very funny ways. Scenic designer Thomas A. Walsh has outdone himself in creating the most uninviting, formerly completely traditional, home imaginable. Costume designer Merrily Murray-Walsh deserves special kudos for her creative and sometimes shocking cast attire. The entire production team has done a terrific job of making the ridiculous painfully real. AUDIENCE ALERT: HIR is funny, clever, and often outrageous - but it may be an acquired taste for some more traditionally-minded patrons." "...There are dysfunctional family comedies ... and then there's Taylor Mac's Hir, a dysfunctional family comedy that takes the genre to such extremes that not everyone will make it past intermission. I, on the other hand, relished every twisted second of this Odyssey Theatre Ensemble Los Angeles Premiere." "...The multi-awarded Taylor Mac (Pulitzer Prize finalist, MacArthur Genius grant, etc.) is also an actor and performance artist. He has created not just a dark comedy but a very black, over the top dramedy that takes a strong stomach on your part, to watch. If that's your poison, drink up!" "...We are in tremendous upheaval and it's clear from this tiny little purview that things are not going well. We are finding it difficult to keep up with, sure necessary, but the nevertheless painful assault of changes. And we are overwhelmed by empathy, anger, disillusionment, compassion, and shock, as we try to navigate the muck of it all while trying to lodge the past in the past, but not being able to wipe it from our future, yet." "...By the time we get to the emotional climax, we've spent so much time poking fun at the patriarchy that it's demise isn't as shocking and profound as it should be. The deeper ideas are more profound than this play allows, the struggle more consequential." "...Director Bart DeLorenzo, whose work is often playfully creative and visually stylish, seems constrained by the writing here. Thomas A. Walsh's set is impressive in its detailed untidiness, and the insulation on the roof of the house is a nice touch. Mac's dialogue is occasionally witty ("You can't wash plaid; it's its own kind of filth") but more often it's clunky and preachy. The characters may be deliberately symbolic, but that doesn't excuse Mac from failing to present them in an original and/or compelling way (the motif of Isaac repeatedly vomiting is especially tiresome). We've seen plays about toxic masculinity and the abused becoming abusers before." "...Taylor Mac, a MacArthur genius, is a titanic talent, and this staging of Hir is nothing short of brilliant." "...Unfortunately, Mac's cleverness seems to lack a solid concept with which to adorn. Mac tosses tidbits at his audience, the house is built on a land fill, Isaac was assigned to a mortuary detail while in service but they're unattached to any larger theme. To put it in a holiday context, it does no good how colorful and twinkly your Christmas lights are, if your audience is wondering where tree is." "...Paige is an incredibly grating character, and the backstory that makes her more understandable is revealed far too late to justify nearly two hours of non-stop horrific behavior. The strongest actor in the cast, Kania does her best to sell Paige's intensely exhausting personality, but the scenes when the character leaves the room come as a relief. Ironically for a play that is wall-to-wall speeches, banter, and loudness, Hir is most effective in its rare quieter moments, of which there are not nearly enough. Much like the set on which it unfolds, the writing is cluttered, and the amount of noise ultimately confuses the potentially interesting statements the playwright is trying to make."